Desk? What Desk?…. spot the desk!!!! This is my first time posting on the WOYWW so please be kind!!! As you will see in the picture on the left there is a desk under there somewhere, and picture 2 is the extension of the desk - my crafting table. Prior to having the table I used to craft on my desk and it was tidier than it is now. Now i use the table as my desk and sometimes for crafting, (when Hubby has annoyed me) so most of the time i craft in the sitting room on my knee, glad we chose a sofa with a chaise on it, makes a perfect place to put my things. 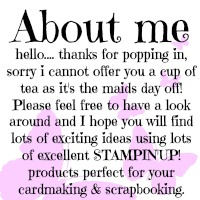 Now the reason the table is sooooo messy is because i had been busy crafting (on the sofa) for a Stampin’ Up! training session (8.1.12). 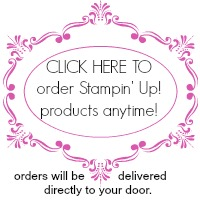 I also got busy crafting on a swap for ILWS using products from the new Stampin’ Up! 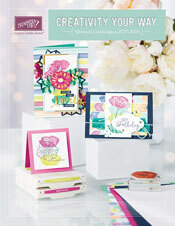 Spring mini catalogue. Thank you for visiting and please be gentle on me…. 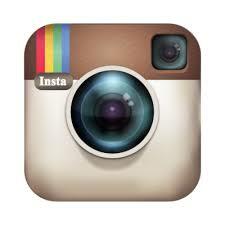 Look forward to you visiting next week. Looks good to me! I love a good mess! I have learned a few things in life. . . never trust a gummy dentist, never trust a tattoo artist with no tattoos, never trust a bald hairdresser and never trust a tidy crafter lol!!! 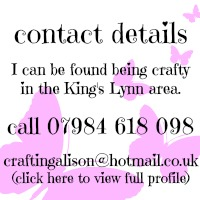 I thankfully fall into the messy crafter category so you can trust my words of wisdom!!! Oh, I don't feel so bad now !!!!! Ha! All that desk room and you craft on the sofa!! I reckon cleared, you could land a plane on that surface!! At first, I thought the candle was a milkshake! Welcome to WOYWW, see we weren't unkind! Looks to me like LOTS of fun is going on here!